A Winning Combination to Bring Out Your Inner Chef! SKILLS WITH AMERICA’S TEST KITCHEN AND ESCOFFIER! The same foolproof recipes featured in ATK’s award-winning television shows. The “hows” and “whys” behind innovative techniques and classic recipes, broken down step-by-step. Simple to advanced recipes – at your own pace. Over 5,000 photos and 200+ videos available 24/7 from any device. Engaging tools and exercises to help you track your progress. Need-to-know equipment and ingredient reviews with each course. 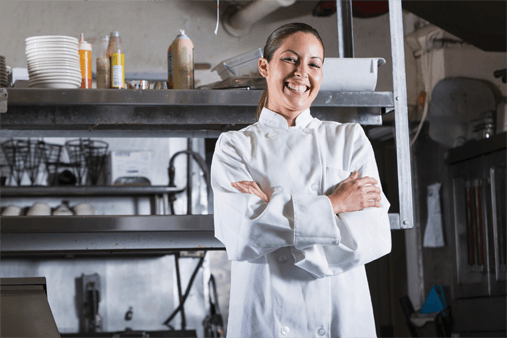 Our unique approach to learning the culinary arts online takes your educational experience one step further with direct access to a professional chef instructor. Combine that with the tried and trusted practices of America’s Test Kitchen, and you have a recipe for success. For just $19.99 per month, you can enjoy an all-access pass to the industry’s best online cooking school—anywhere and at any time. Explore new cuisines, learn techniques and master recipes you’ve always wanted to. 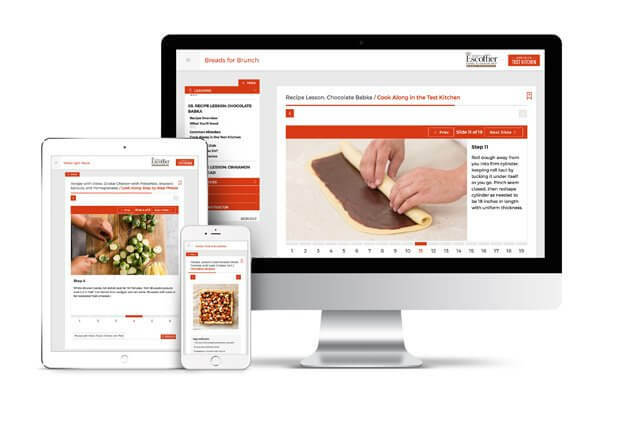 With an à la carte catalog of over 230 online culinary classes, you can gain access to helpful tips and tricks and exclusive recipes. All experience levels welcome! From baking to braising and weeknight meals to weekend projects, our online cooking school has something for everyone. Just a Few of Our Team Members! All of our tutorials are led by the people you trust most for cooking advice: the America’s Test Kitchen talent. With additional help from a professional culinary school instructor, you’ll be able to maneuver through recipes you’ve always dreamed of learning, all in the convenience of your own kitchen.